You are here: Home / Blog / Magic Mug / Fun mug, pretty mug, functional mug! Fun mug, pretty mug, functional mug! I am really pleased with my new ceramic coffee mug. It is a great size, 14 ounces, durably thick and a comfortable handle. 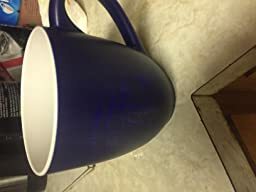 People may not pay alot of attention to mug handles and that’s probably because you’ve never used one with a comfortable, proportioned handle. The color is deep and vibrant. 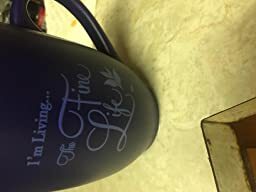 I collect coffee mugs and this is a great addition because it has a very unique trait! It’s magic! When you add your tea or coffee, the words begin appearing. 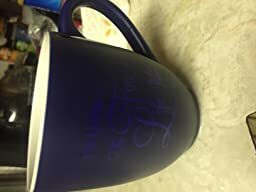 The writing on the mug that appears is really perfect and works perfect on this mug. This is always a conversation piece. http://the-fine-life.com/wp-content/uploads/2016/02/Profile-pic.jpg 0 0 Linda http://the-fine-life.com/wp-content/uploads/2016/02/Profile-pic.jpg Linda2016-01-12 16:15:292016-03-05 16:16:58Fun mug, pretty mug, functional mug! 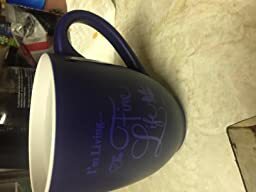 Innovative way to brew the perfect cup of tea or coffee Great Color changing Mug for Tea or Coffee!